As seen from South Eureka Road. Photograph taken October 5, 2000. Field Notes: Eureka Valley, October 6, 2000. 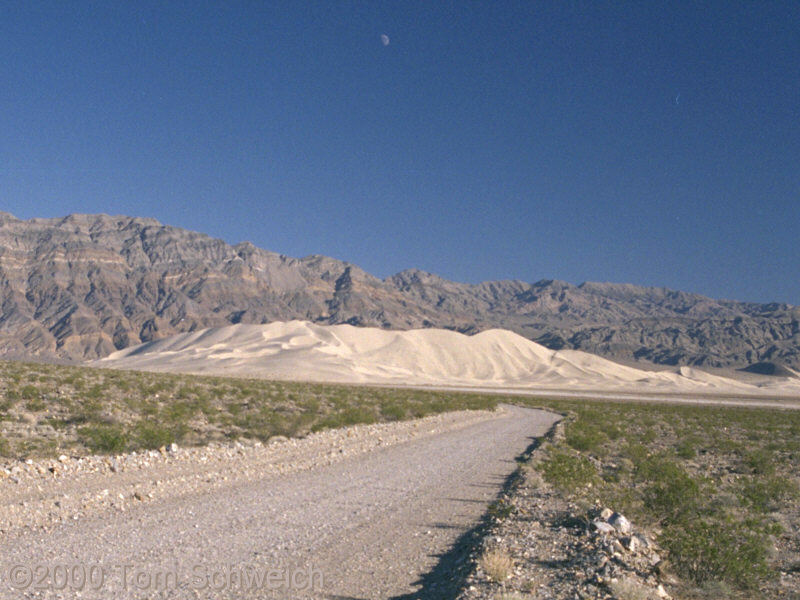 Singing and Booming Sand Dunes of California and Nevada: 180.